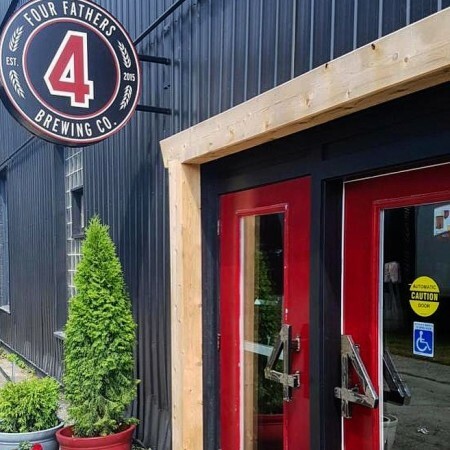 CAMBRIDGE, ON – Four Fathers Brewing has announced that its new flagship location in Cambridge, Ontario is now open. Located at 125 Guelph Avenue in the Hespeler Village area of the city, the new brewery has been in the works for almost a year. The retail store in the new location will be open from 9:00 AM to 11:00 PM starting today, with 12 ounce glasses and flights available from 11:00 AM to 9:00 PM. A full service taproom will be opening in mid-August. The original Four Fathers brewery near Guelph will also remain in operation, although as before, it is not open to the public.